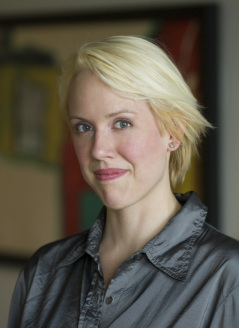 Beth earned her BFA in Painting, Media Arts, and Performance from the Minneapolis College of Art and Design. In Minneapolis, her work spanned from non-profit arts to event design and video production, to artist collaborations with a new media collective that she co-founded. She was also a costume and stage designer for several independent theater companies and productions. Her Production Design career began when her events started taking on narrative and back story, and in the creative immediacy of music videos. Beth earned her MFA in Production Design from the American Film Institute Conservatory (AFI) in 2009. There she earned both the Robert Boyle and Jack Oakie Memorial Merit Awards for Excellence in Production Design. Since the time of her move to the City of Angels in 2007, she has designed and set decorated several feature films, short films, commercials, television shows, web series, and music videos. Balance is key in life, and in 2014 she also became a certified Kundalini Yoga and Meditation teacher. Growing up in an aesthetic environment and her early love of the arts and design gives Beth an innate sense of composition, color, design, and artistry. Skilled with the computer, the pen, the brush, and with power tools, she is adept in all areas that make a story come alive. While her primary work has been as production designer, her keen sense of storytelling particularly finds its outlet in set decoration, where the aspects of a characters' life that don't necessarily appear on the page create a deeper coherence to a narrative.